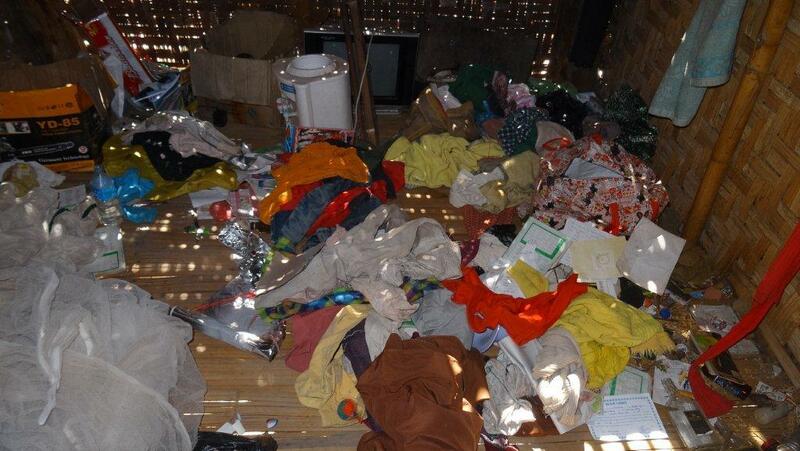 Family possessions in Nam Gau Village were looted and scattered by Burma Army soldiers in late January and early February 2014. Villagers fled the area, and one man had a bullet hole in his motor bike wheel from where Burma Army troops shot at him as he was driving away from the village. 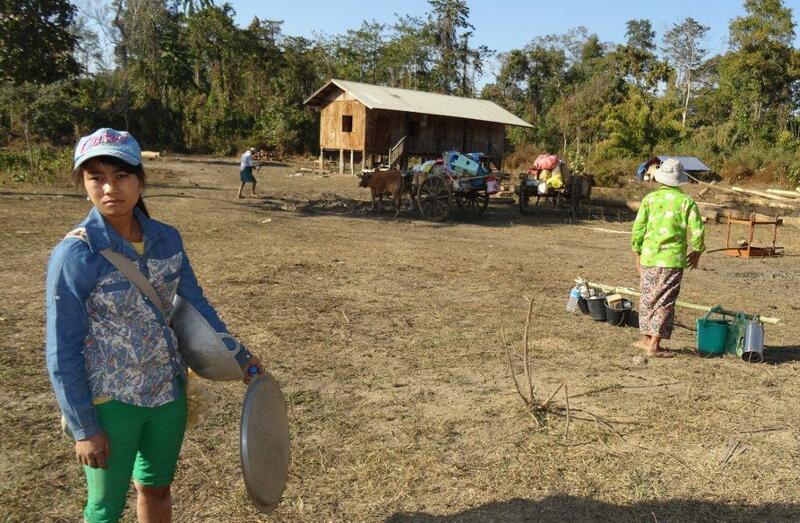 The Kachin Independence Army (KIA – an ethnic pro-democracy resistance group) arrived at the village to help those who had escaped return to gather their belongings and livestock. The Burma Army then came back to attack the village on the evening of the 30 January. There was rifle grenade and small arms fire as the two sides engaged during the night, under 100 meters apart. 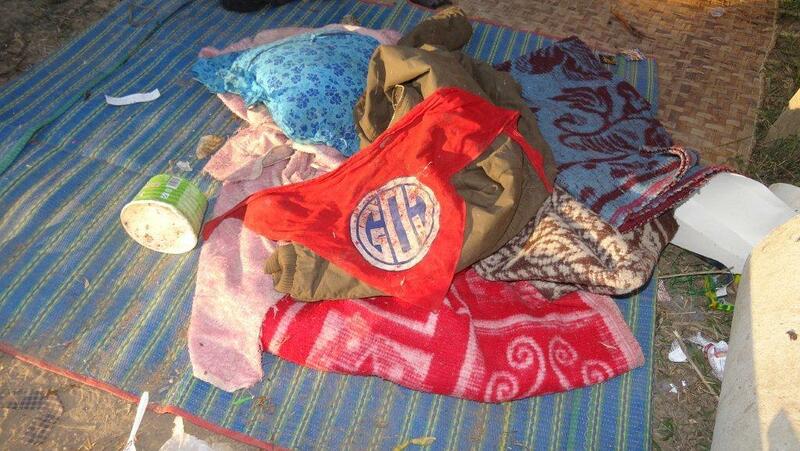 Burma Army Battalion 601 scarf dropped during attack on Nam Gau Village 31 January 2014. 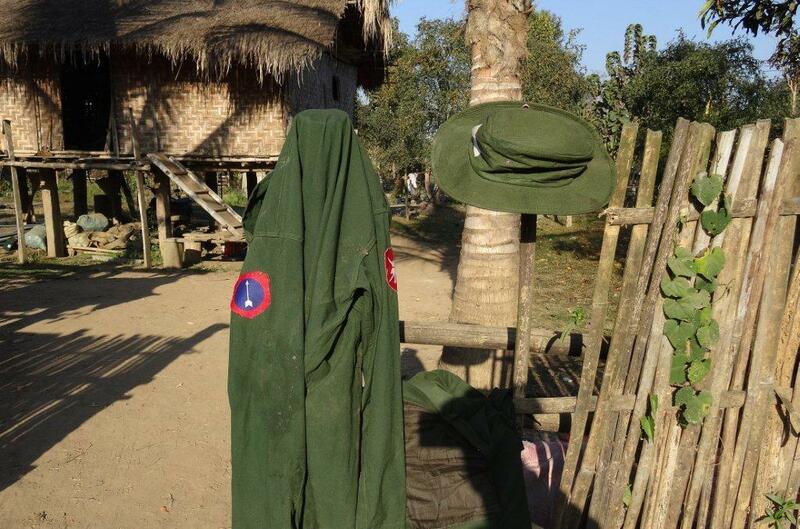 Burma Army shirt of Northern Command found after attack at Nam Gau Village on 3 February 2014. The next morning fighting intensified as Burma Army Battalion 276 was reinforced and began shelling the village with 60mm and 81 mm mortars. Attacks were also enforced with infantry assaults supported by RPGs (rocket-propelled grenades) and rifle grenades. During this time one KIA soldier was killed and two were wounded, but the KIA held their position. 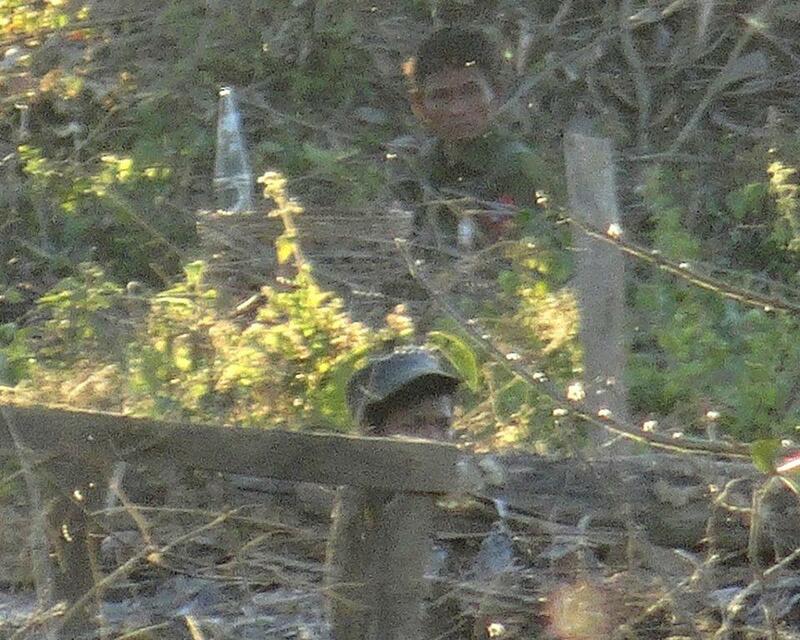 Just before sunset on 31 January, Burma Army Battalion 601 joined in the attack, using heavy mortar, machine gun and RPG fire as the Burma Army assaulted through the villages, pushing the KIA out. 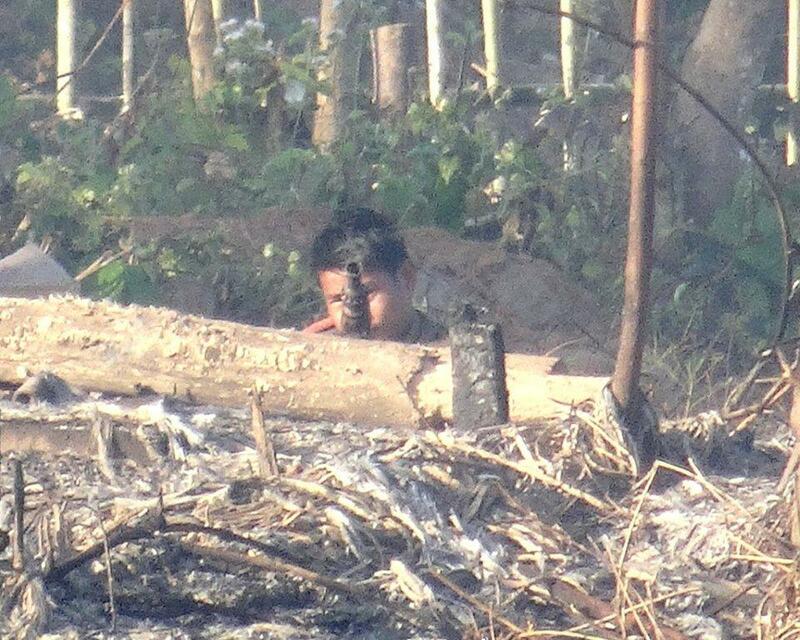 The KIA lost the village, and Burma Army troops began looting the homes in the villages. 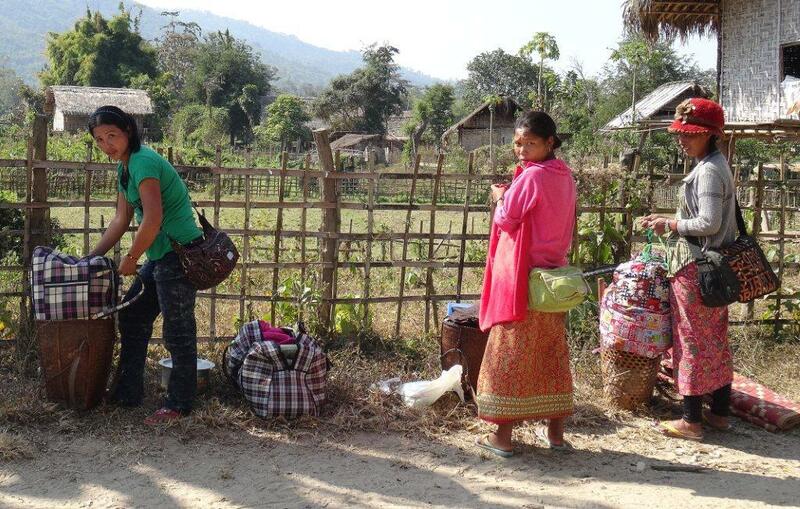 Kachin Internally Displaced Persons (IDPs) at Nam Lim Pa Village prepare to flee again on 6 February 2014. 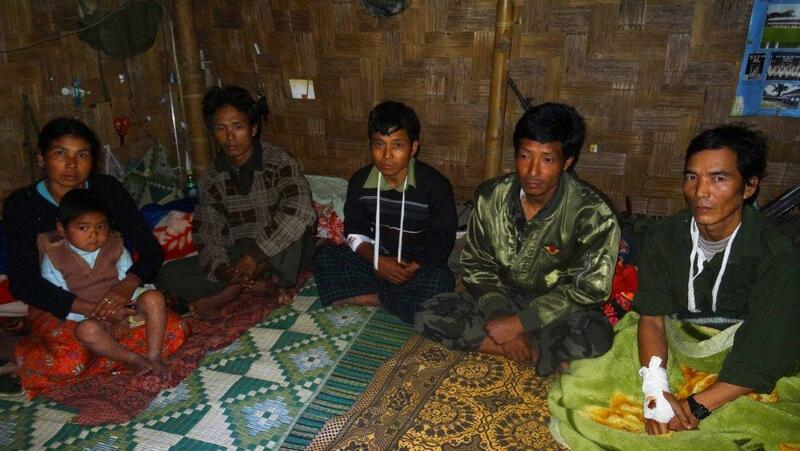 Four Kachin soldiers that were wounded in Burma Army attacks in the Nam Lim Pa area in January and February 2014. In response, the KIA went around behind the Burma Army and surrounded the base near Kong Run that the assault was launched from. This forced the Burma Army troops to withdraw from Nam Gau Village and go defend their garrison. The KIA then secured Nam Gau again and helped villagers and merchants evacuate their belongings. 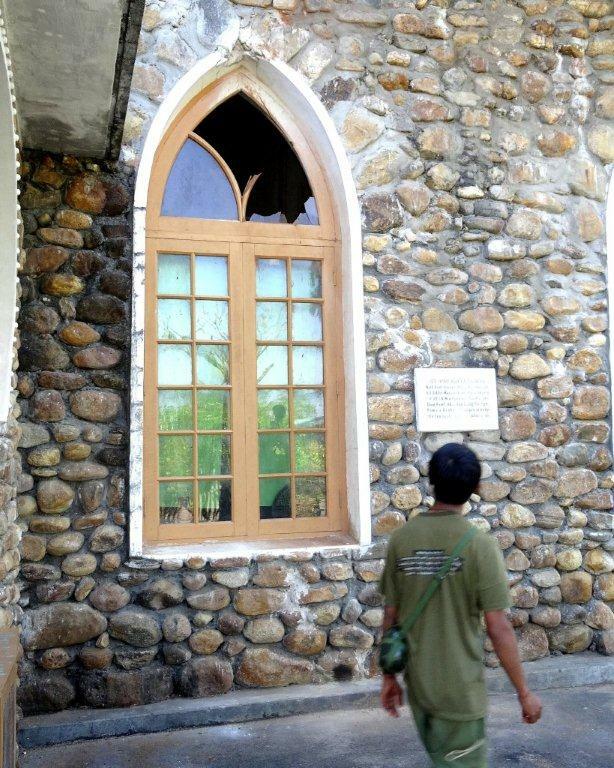 Church damaged by Burma Army mortar and machine gun fire in November and December 2013 attacks in Nam Lim Pa Village. The Burma Army attacked the KIA near Kong Run Village on 7 February and fighting continues. As of this report the Burma Army continues to hold 10 captives and 24 trucks. To subjugate the population, and prevent them from supporting the KIA and Kachin government (Kachin Independence Organization- KIO). To drive out the KIA/KIO, consolidate their control over this part of Kachin State, and cut the Kachin off from Shan and Ta’ang allies in Northern Shan State. To have total control over the resources in this area, as well as logging routes that cross through this area. Most villagers have fled the attacks that have continued nonstop since 2011. The most recent displacements were in November and December 2013, when over 2,000 people fled, and in January 2014 through the present. In this area alone there have been over 200 attacks in the past three years. Many told us they believe the Burma Army wants to do away with them and have the Kachin lands for themselves.